18pt;">Neurotransmitter precursor 5-HTP supports brain chemistry associated with a happy, relaxed mood. Increasing serotonin levels. 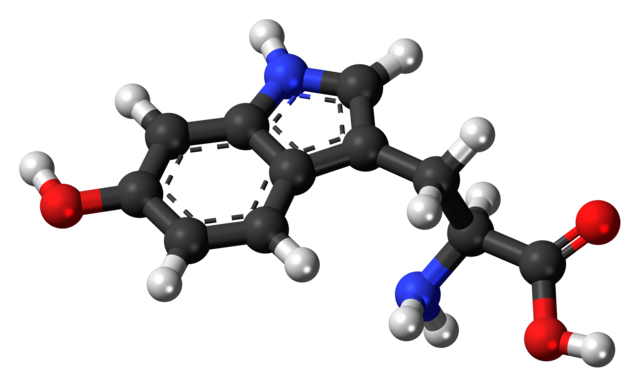 Serotonin dysfunction is believed to play a major role in the development of depression, anxiety, tension and migraine headaches, and other mental disorders. A “Mental” Weight Management Aid? Hydroxytryptophan, or 5-HTP for short, is a naturally-occurring amino acid metabolite that is best known for helping produce serotonin (5-HT) – a neurotransmitter that plays a central role in the regulation of mood and social behavior. Healthy brain serotonin levels are associated with happiness and well-being, and its deficiency is believed to play a part in the development of depression and other emotional issues. 5-HTP has been shown to decline in the brain as we grow older, which may be tied to lower serotonin levels in aging brains.1 In addition, brain autopsies have revealed that lower levels of serotonin appear to have strong links to the onset and progression of depression — a connection that led researchers to identify serotonin precursor 5-HTP as a possible therapy for depressive disorders. In the human body, 5-HTP is produced from tryptophan – an essential amino acid that we obtain from dietary sources such as eggs, cheese, salmon, nuts, and soy. However, eating high-tryptophan foods will not necessarily increase 5-HTP by a large amount, because of competition with other amino acids entering the brain. Unlike tryptophan, 5-HTP can easily cross the blood-brain barrier and increase serotonin production. 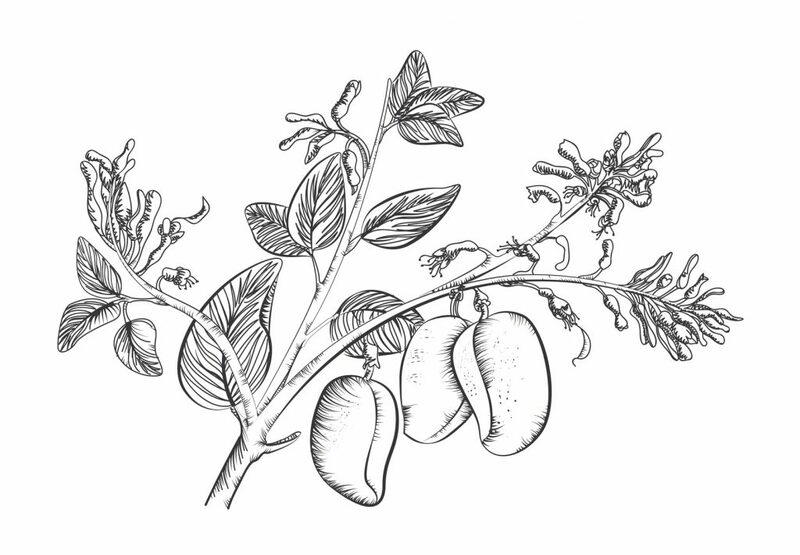 Griffonia simplicifolia, with seed-pods, illustrated. 1970s 5-HTP research breakthroughs were not mirrored by a spike in 5-HTP supplementation, likely because at the time 5-HTP supplements were prohibitively expensive. Today, 5-HTP is far more accessible and affordable. Modern 5HTP nutritional supplements are made from the seeds of an African shrub called Griffonia simplicfolia. These 5-HTP supplements are efficient and bioavailable, with researchers suggesting up to 70% of 5-HTP consumed in supplement form reaches the bloodstream. 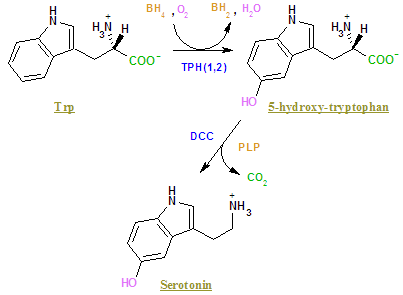 The main biological activity of 5-HTP is its role as the precursor for the production of serotonin. When 5-HTP is taken orally, about 70% of it enters the bloodstream, and can then cross the blood-brain barrier, boosting serotonin synthesis in the brain and throughout the nervous system.3 5-HTP may also help with sleep, relaxation, and healthy cognitive function. Stacking Suggestion: In order for 5-HTP to be converted into serotonin, the enzyme L-Amino Acid Decarboxylase (AADC) must be present. Vitamin B6 is a cofactor for AADC, which has also been shown to play a role in regulating 5-HTP levels. For this reason, we think it makes sense to take 5-HTP along with nootropic Vitamin B6, especially as B6’s active P-5-P form. 217;s notable serotonin support appears to benefit mood and emotional balance. This explains why 5-HTP has been found to help with a large variety of issues that are linked to brain serotonin deficiency and dysfunction. In particular, studies suggest 5-HTP may help with depression, anxiety and panic disorders, stress-related binge eating, fibromyalgia, aggression, irritability, and tension & migraine headaches. most commonly associated with brain health and emotional states, but in reality 95% of the body’s serotonin exists in the gastrointestinal tract. Emerging research has suggested that 5-HTP’s presence in the gut may be associated with feelings of “fullness” and appetite satisfaction, potentially offering a new angle of support for healthy weight management. on 5-HTP is scarce, a large number of studies were performed between 1970 and 1990. These show good evidence that 5-HTP is beneficial for assisting with mood and anxiety issues. Forty-five patients with anxiety disorders were given either placebo, clomipramine, or 5-HTP for 8 weeks. The treatments were started at a 25 mg daily dose, and increase up to a maximum 150 mg after 14 days. Although 5-HTP was weaker than clomipramine—a common antidepressant—it still led to a significant reduction of anxiety disorder symptoms. Fourteen people with depression and six with bipolar disorder were divided into two equal groups, A and B. Group A received 5-HTP (200 mg) daily for one year, and then placebo for the second year; in Group B, the order was reversed. The study found that during the 5-HTP year, both groups had considerably fewer depression relapses. The researchers also scored depression on a 0-3 point scale, and found that mean depression was much higher for both groups during the placebo year. This study recruited 78 people suffering from chronic tension headaches, the most common type of headache. Forty-three of the participants were given 5-HTP (300 mg daily), while the rest were given placebo for 8 weeks. The study found that the 5-HTP group used fewer pain killers during the treatment period, which indicates that their headaches were less severe. The 5-HTP group also had fewer days with headaches in the 2 weeks after treatment. This study tested whether 5-HTP supplementation can help with panic attacks. Twenty-four healthy and 24 panic disorder participants were given either 5-HTP (200 mg) or placebo. An hour and a half later, the researchers tested them with a panic-inducing challenge. The study found that symptoms of panic, anxiety, as well as the number of panic attacks during the challenge was reduced in panic disorder patients given 5-HTP. No effect was found in healthy subjects. sociated with 5-HTP may include nausea and other gastrointestinal symptoms such as heartburn and diarrhea. The likelihood and severity of these symptoms can be lessened by starting with a smaller dose. can plant Griffonia simplicifolia and sold in tablets, capsules, and flavored lozenges. 5-HTP appears to supply solid nutritional support for mood and sleep. While not a direct brain-boosting nootropic, 5-HTP may indirectly help mental performance that is compromised by depression, anxiety, insufficient sleep, and other health issues related to low serotonin levels. Since serotonin levels decline with age, we think 5-HTP may also have a place as a brain supplement for maintaining bright and happy moods in an aging population. 100 mg is a standard 5-HTP serving size. Most of the best research for 5-HTP’s mood support uses higher dosages, ranging from 150 mg to 300 mg. It may be best to start out with 100 mg dosing, assess tolerance and efficacy, and then gradually increase to to 2-3 daily doses of 5HTP 100 mg over the period of a few days to a week.